Affilorama – Is It Legit? Affilorama was started by Mark Ling in 2005, and is a community dedicated to affiliate training. After years of success as an merchant owning products like “Jamorama” and “Rocket Piano,” Mark set out to create a platform that would help train his affiliates within these respective niches. There are several levels of the Affilorama Membership and different products to choose from, including the very basic entry level to the more advanced options that feature several plugin tools. Most programs simply do not evolve, but Affilorama is one of the better products in the industry at keeping up (although they do not do a perfect job), and within this review I will take you through the program along with the many “upsells” within this affiliate marketing product. But first, let’s have a quick look at the pros and cons of this program. Want to Become a Pro Affiliate Marketer? Go Here! With several levels (with training on each) to choose from, Affilorama is meant to be employed by anyone who wants to make some extra money online as an affiliate marketer. The training within the Affilorama has everything from the fundamental website set-up to more advanced promotional techniques. There is no need to have prior knowledge of website building, hosting, marketing, or content management. Affilorama’s training starts with the basic program, which combines videos and other online tools to follow step by step. In addition there are a number of software apps that can be used as well (site ranking and analysis tools). The Affilorama Premium level offers additional training, interviews with various successful Internet Entrepreneurs, and the bootcamp videos. This level also includes content which has been created for your chosen niche. 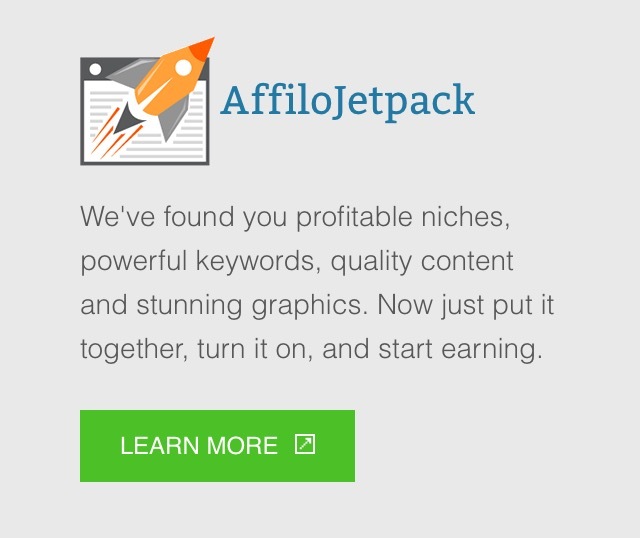 You also get the Affilorama Jetpack, which is the customized website creation and hosting package, and Affilorama Theme, which is another version of that service. Affilorama Support – Can You Get Help From Mark Ling? All levels of Affilorama have the support from the members of the community, many of which are free members. This can be a good thing and a bad thing. Sometimes someone will be there to give you direct help, but not all the time. The nature of a forum allows for “delayed” support, and sometimes it can take several days for your question to get answered. All discussions, questions, and comments can be shared within the community through forums and message boards. Mark Ling on occassion will join in on the discussions, but you should not expect a response from him in a timely matter (if at all). He is a very busy entrepreneur, and at any given time he has MANY different projects that are totally unrelated to Affilorama (it is not his main focus). This is where it can get a little bit confusing, because Affilorama has MANY different product offerings and upsells within their program. This is something that I usually do not agree with, because I believe when you pay for a product you should get access to EVERYTHING. These products are good quality, but they are definitely more expensive than my #1 ranked program for affiliate marketing training. It is free to join Affilorama, but you will need access to more than they offer with the free membership. The Premium membership is the main offering at Affilorama. This package includes training, software, limited hosting, and forum access. The included Items are the Affiliate Training, Blog Bootcamp, Premium Tools, Website Hosting, and PLR Articles. Although some of this training is excellent, there are some critical training flaws in the Affilorama Premium membership that can actually negatively impact your business. The first issue I have is the Link Building within the Blog Bootcamp. 1 of the 4 bootcamp lessons is dedicated to training you about backlinking strategies. That is 25% of the entire course. The problem here is that backlinks can get you in A LOT of trouble these days with Google, and although this strategy may have worked in 2012 it has long since lead to people losing their entire business and rankings online. This outdated misinformation will lead you to failure if you follow it, and that is never something I like to see. With every Google Panda or Penguin update, more and more websites that put ANY emphasis on backlinking strategies are being removed from the search results. NOT A GOOD THING. The second issue I have with the Premium package is that they are promoting the idea of PLR (Private Label Rights) content being worthwhile. You get 30 new PLR articles every month. This is also an outdated and wrong strategy that will lead you to content marketing failure. This content is duplicate and if you even consider putting any of it on your website, you will lose all rankings. Also, it will never have the same impact that content you create will have. PLR may have been ok back in 2010, but not this year. And using it will negatively impact your business. NOT A GOOD THING. There are also 15 tools that are available within the Premium membership, some are useful and some will provide you with meaningless data. There is an Trusted Site Tool which analzyes the Page Rank within Google (also known as PR). PR is an outdated metric, and in no way indicates whether or not a site is “trusted” in Google. It is obvious that the tools are not being updated at the same speed that the affiliate marketing world is evolving at. There is also a tool called “Social Snoop” that finds social sites you can again, get backlinks to. This is not good for SEO or an online business, and has been deemed an irrelevant marketing technique since late 2012. And you have an article spinning tool, which will absolutely KILL your business if you use it. I really wish the people over at Affilorama would update their training and tools to reflect the current state of SEO and the online business world. They are doing more harm than good to your business. There are several other offerings or “upsells” that are promoted to you within Affilorama, something that I am not a big fan of. I think if you are paying $67 per month, you should get access to the full system and all of the tools. The $67 price point is also much higher than other better services that are available to you as an aspiring affiliate marketer. 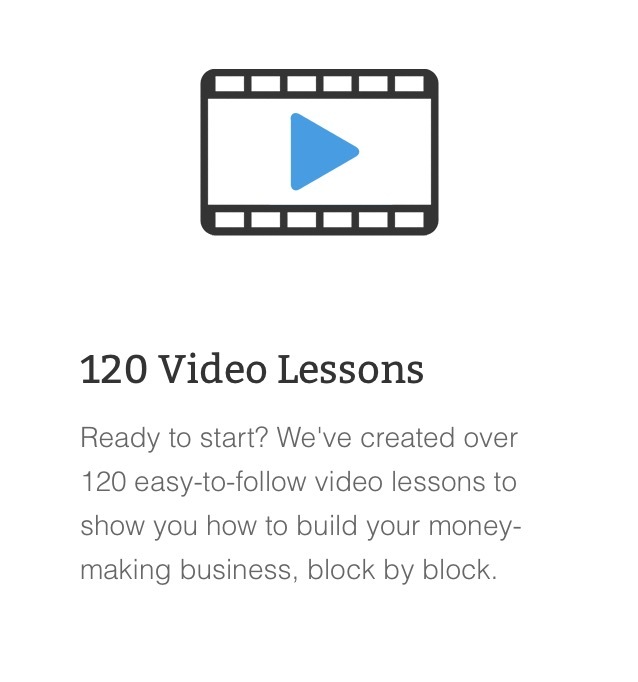 The package includes 90+ video lessons, covering topics like affiliate marketing, niche marketing and research, free traffic methods like SEO, PPC via Google’s content network, and 6 WordPress themes that are geared more towards PPC than SEO. You also get 1 year of web hosting for 1 website. This is then followed by an upsell (when you join) of the Affilorama Premium. 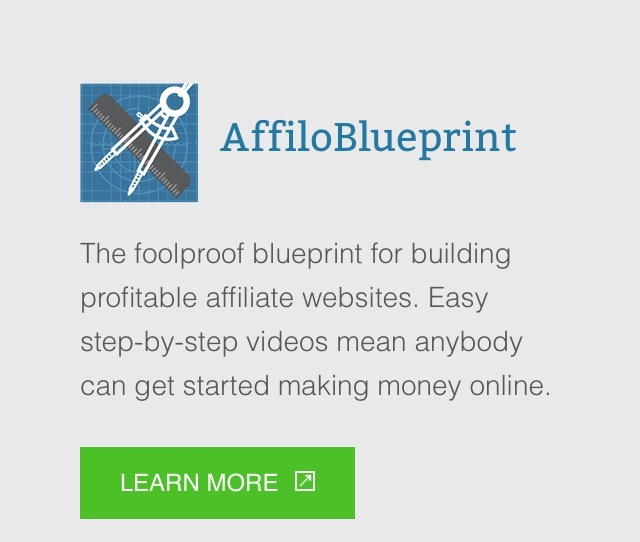 AffiloBlueprint does not actually come with any support, so if you want the additional support and help for this particular product, you will have to pay the additional $67 per month. This is great for people that want to jump start their business. 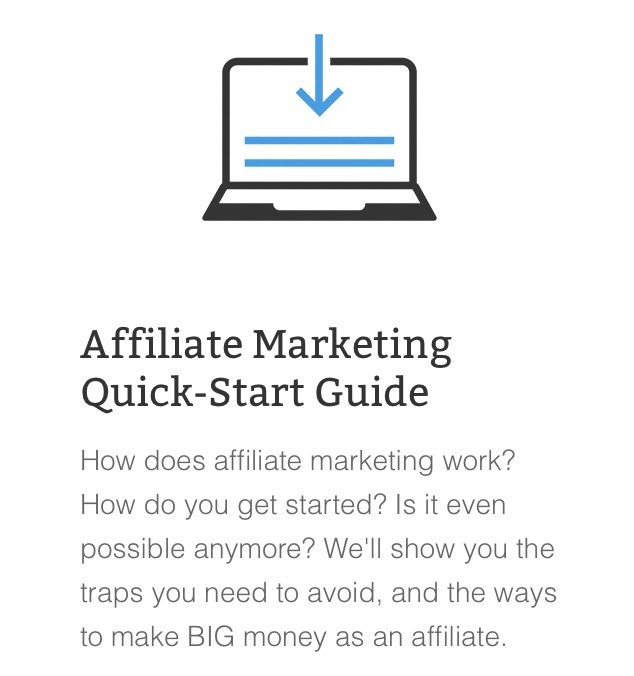 You will basically have a ready-made affiliate website that is ready to start profiting. This saves you a lot of time and work, but you are the one that has to keep it running and profiting. The last upsell you will be approached with inside of Affilorama is the Affilotheme. This is a Worpdress theme that comes with support training showing you how to properly use it. It also comes with one year of free hosting, and beyond that you will be encouraged to join Affilorama Premium to maintain your hosting. Affilorama Premium is just the initial component of the offering inside of this system. If you take them up on all of their offers, you will be spending $791 + $67 per month for the Premium membership. This is something that you need to STRONGLY consider prior to getting involved with the training. This is a great product which offers a good deal of tools, training and support. Although I am critical of a few different aspects of their system, Mark Ling and Affilorama are definitely one of the more legitimate groups within hte industry that is known for “scams”. However, because of the number of upsells and misinformation within the training, it can be confusing to the beginner where to get started. This is one program that should be approached with a careful and well thought out plan of action, you should be starting with the very basics (Premium Membership) if you do decide to join, and then adding on additional tools and products if you feel comfortable enough (assuming you have the budget). Just be careful if you are a beginner, and don’t blow all your money right out of the gate. If you have any questions about my Affilorama review, I would love to hear your feedback within the comments section below.